So the bipeds took me shopping for a Christmas tree on Black Friday. 1) I’m not sure what a Christmas tree is, but they taste delicious. 2) I’m not sure I understand the significance of Black Friday, but it strikes me a fantastic day to stay home. Now, as my human butler drapes this delicious-tasting bush with flashing lights and cheap glitter, I find myself perusing his Facebook page. Here, I can’t help but notice he’s selling the skull of a dead bison for the purpose of funding a charity of some kind. Scroll down and see for yourself. 1) I’m not sure what a bison is, or why His Majesty is in possession of its severed skull. 2) I’m not sure I understand why people are bidding money for it, but I suppose there is no accounting for taste, especially when the cause is noteworthy. Anyway, as I began to investigate these and other mysteries, I came across a few comments that mentioned me. These four in particular caught my eye, with respect to the attached photo. Katlee K Shank – I want this as a picture on my wall!!! Mike, seriously, do a calendar with pics of you and Freddy and sell them for the foundation!!! 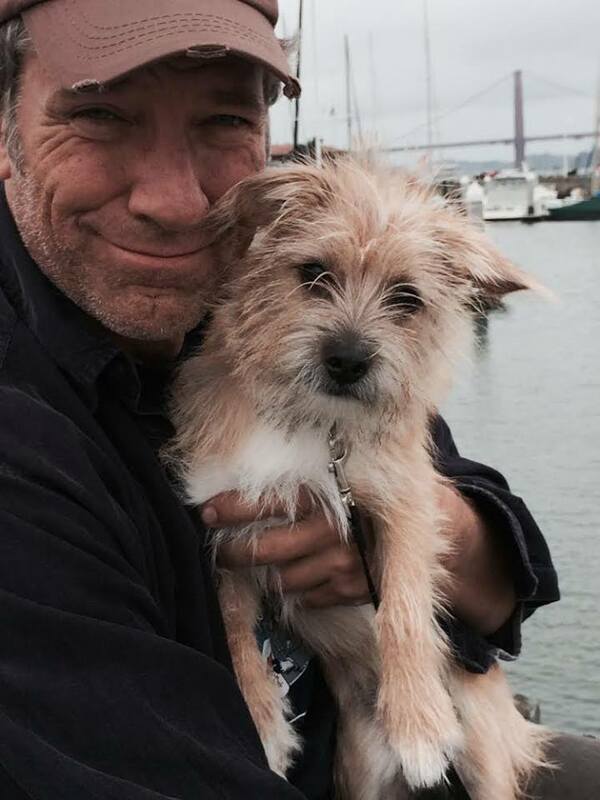 Karen Green – I luv this picture, both are so scruffy and adorable!! Penny Goldman Bolick – I will donate for this picture…..seriously…. please? Melanie Bowers Dahms – This should be the pic that goes out in you Christmas cards. I so want a signed copy. Adorable!!! Cindi Collett Lance – You are starting to look alike. If I’ve managed to hit the proper keys, the above image can now be ordered here. If I screwed it up, blame the biped. He appears to be into a dusty Cabernet. Peace out. Word to your mother. Holy C.R.A.P. – It’s Black Friday!